Methanhydrat changed some attributes to Dark Souls Input Customizer: File 'Dark Souls Input Customizer - v1.1' changed to 'Dark Souls Input Customizer'. 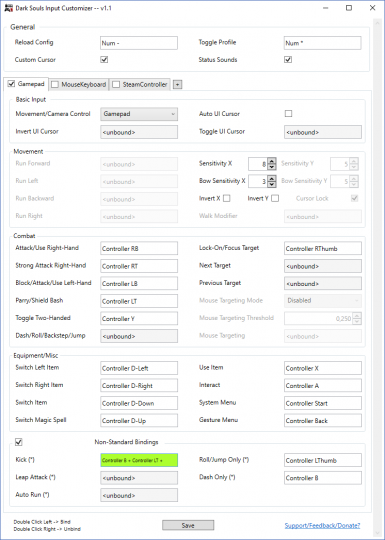 Methanhydrat changed some attributes to Dark Souls Input Customizer: File 'Dark Souls Input Customizer' category changed. 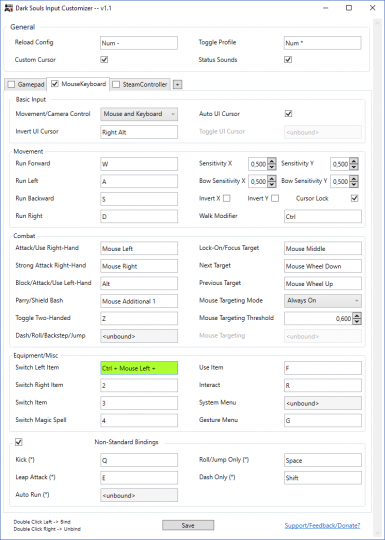 Methanhydrat changed some attributes to Dark Souls Input Customizer: Description changed.